Tony Visconti has apologized for offending Adele. As projected, Paul Simon debuts at number 3 this week with his latest album Stranger to Stranger. The album was the biggest selling album in the U.S. over the last week but debuts at number 3 after streaming equivalents are added. 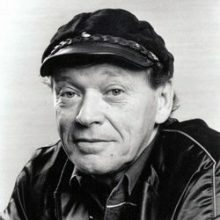 Lincoln Wayne "Chips" Moman, the multi-talented producer, guitarist and songwriter, died in La Grange, GA after battling lung disease at the age of 79. James Corden took Red Hot Chili Peppers on a trip around LA … and it really was a trip. It's hard to review compilations because, in most cases, it's all been heard before. Fans own most or all the albums and those acquainted with an artist's music will be interested only if they know a lot of the songs. 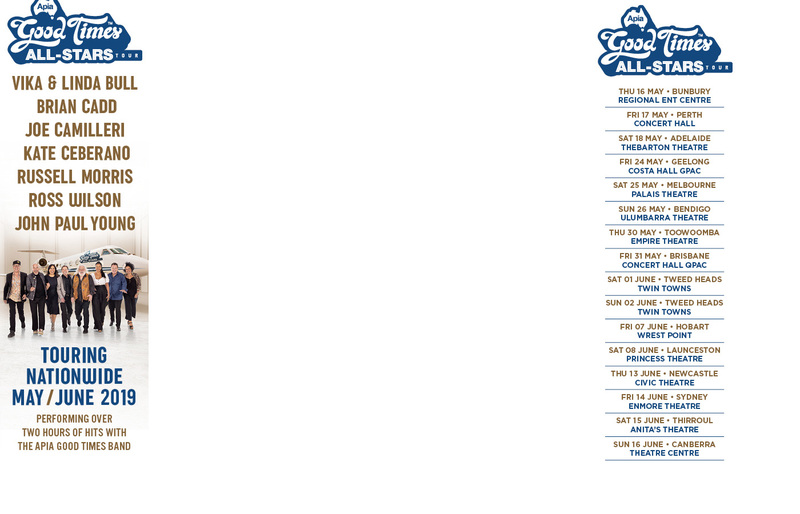 Hot Tub Time Machine star Craig Robinson has postponed Australian dates until December. Gorillaz, the virtual band created by Damon Albarn of Blur and comic artist Jamie Hewlett, are on track to release their fifth album in 2017. 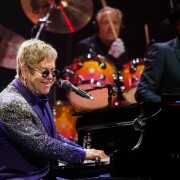 Elton John reportedly threatened to walk out of his gig on Saturday during a foul-mouthed rant at security guards. 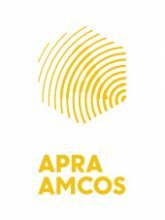 Songwriters are advised to get their Performance Report into APRA AMCOS by July 31 to receive payment for their work. When Lemmy Kilmister was in Los Angeles, he could often be found at the Rainbow Bar and Grill. The group that is, perhaps, Sweden's second biggest musical gift to the world, Roxette, have released a new album, Good Karma, in much of the world. Gene Simmons doesn't always make news for his wide ranging opinions. Thousands of people turned out at the main stage yesterday afternoon to celebrate the life of David Bowie on the third day of the Isle of Wight Festival. It's getting harder every day for Eric Clapton to play his guitar. “I believe this was the first genuine Australian rock and roll song ever written by the great Johnny O’Keefe. I’m talking about The Wild One, Real Wild Child,” Ross said introing the song at a rare, intimate Flying Saucer Club gig in Melbourne on Sunday night. Kate Ceberano now carried the initials AM after her name as a recipient of the Order of Australia in the 2016 Queen’s Birthday Honours. Primal Scream singer Bobby Gillespie has fallen from a seven-foot stage injuring his back whilst performing at Switzerland’s Caribana Festival. 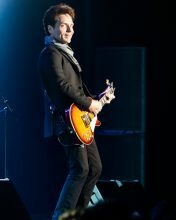 Richard Marx is in a good place at the moment. His new song “Last Thing I Wanted’ is being played on radio in the US next to Selena Gomez. Richard joked that it wasn’t that long ago his mentions on radio usually consisted of “that was Richard Marx and coming up next Bette Midler ‘Wind Beneath My Wings’. Zayn Malik has left his fans disappointed yet again after pulling out of a concert at the last minute due to anxiety. Blame the NRA for the death of Christina Grimmie along with the nutter who killed her. Rod Stewart is the latest good knight to be had by all ... well if all is The Queen. Christina Grimmie, the 22 year old third place winner in Season 6 of The Voice in the USA, has died after being shot after her concert in Orlando earlier today. 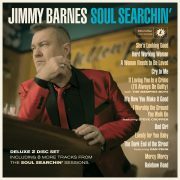 The sixteenth studio album and fourth soul album for Jimmy Barnes debuts at No.1 this week entitled "Soul Searchin'", and the set becomes his eleventh No.1 album in Australia, the most for a local artist, and the equal second best of all time here. There are thirteen stable positions within the Top 50 this week (for a 13th of the month chart too) and four of them occur within the Top 10, most notable of course are the top two spots which are on hold this week, Calvin Harris and Rihanna are on hold at No.1 for a second week with "This is What You Came for" (#1 DL/#2 Str). 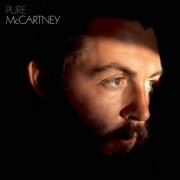 When Daddy Cool released ‘Eagle Rock’ in May 1971 The Beatles had only broken up five months earlier. ‘Eagle Rock’ was 45 years ago and even then Wilson was onto his third or fourth band. 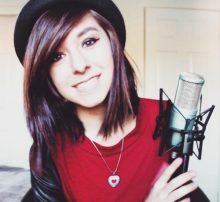 Christina Grimmie, a former contestant on the US edition of The Voice, is in a critical condition after being shot following her concert in Orlando on Friday night. Sweden’s The Hellacopters have reformed and have played their first gig in eight years. When Kids In The Kitchen reformed for Pure Gold Live it was their first shows together in 28 years. Culture Club fans came to reminisce but as Boy George told them “this isn’t a retirement tour”. The juggle was weighing fan expectations with George’s desire to prove 21st century relevance.